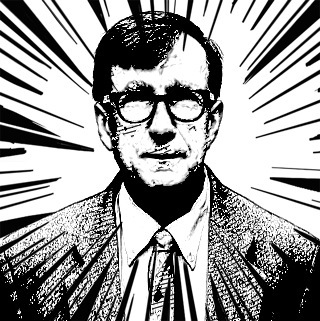 In this terrific article in New Literary History, Graham Harman draws-out some of Latour’s inconsistencies in his shift from old ANT days (i.e., the early Latour) to the more recent emphasis on “modes” (i.e., the late Latour) related to his culture-nature rejection-reficiation (played with a few of these idea a decade ago reviewing his book PoN). This entry was posted in Old Ideas, STS, STS Gossip, Teaching, The Profession, Theory, Uncategorized and tagged Culture, Nature by Nicholas. Bookmark the permalink. much like with Heidegger Latour drifted from useful anthropology to waxing meta-physical and if he doesn’t come back to the rough ground of lived-life I for one can only say adieu. I’m extremely surprised folks have stuck with Latour as long as they have. Jeremy, a good point; I wonder why that is — the staying part? I guess, to me, the reason is often that one is obliged to cite his work, for better or for worse, because not citing him can be construed as being ignorant of his work and this can be then, in turn, seen as an indication that the author is not a well-rounded reader. I think it’s the related hope/faith that attracts many to say Whitehead, M-Ponty, or WilliamJames, a desire for (belief in?) some-thing/law/fomula/way/etc that will tie all the pieces together (a meta-physics) make sense of the buzzing-bloomin-confusion, something more obect-ive than our alltoohuman manipulations/politics. Some way in otherwords to be more than (or at least access) human-being, to do/be more than what Heidegger dismissed as “mere” anthropology. Yeah, agreed. I had a lot of problems with the modes, but as I wrote elsewhere https://installingorder.org/2014/05/22/on-reading-the-inquiry-into-modes-of-existence/) (in the comments), I finally found my peace with it. My best guess is that what Latour tries to do is find a language for a mode on inquiry which is not fully blended with the Modern´s way of dealing with the issues they hold dear (science, religion, law for example, but also fiction and habit). On its “empirical” base I still have my doubts: the Moderns are manifold, I suppose, and the picture that Latour draws of them and their values is far too much painted in big strokes for my taste. But on the other hand: Harman and the OOOs really are not ringing a bell with me either. The Prince of Networks was a nice book, although it was — for me — too much of an intellectual history. But the Tool Being stuff and the OOO movement as a whole is, I totally agree with Andrzej, too far away from any empirical take on the onto-practices of the Moderns to be really appealing to me. Thanks for sharing that. Dmf made a somewhat similar point. I also did in my postmodern 3:1 post mentioning that I loved reading the Pomo authors but had no idea what to do with them empirically!